Melrose is a small town in the central Borders situated at the foot of the Eildon Hills, close to the river Tweed. 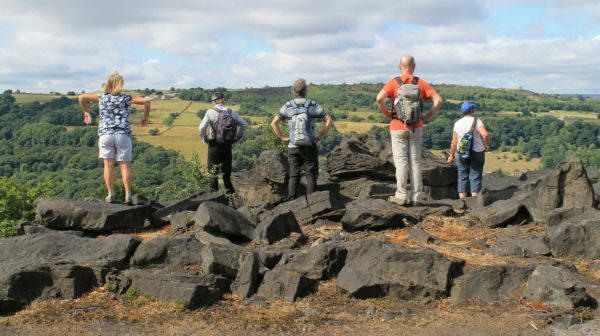 It has excellent visitor facilities and the local path network provides the perfect opportunity to explore the surrounding landscape and it's many historical connections together with our paths booklet. Meltham is a small town and civil parish within the Metropolitan Borough of Kirklees, in West Yorkshire, England. It lies in the Holme Valley, below Wessenden Moor, four and a half miles south-west of Huddersfield on the edge of the Peak District National Park. It had a population of 8,089 at the 2001 census, which was estimated to have increased to 8,600 by 2005. The population assessed at the 2011 Census was 8,534. Meltham is surrounded by a network of public rights of way, including 10 waymarked and documented routes. It is 2.7 miles from the Pennine Way. Meltham centre is well supported by local shops, cafes and pubs and has free car parking. 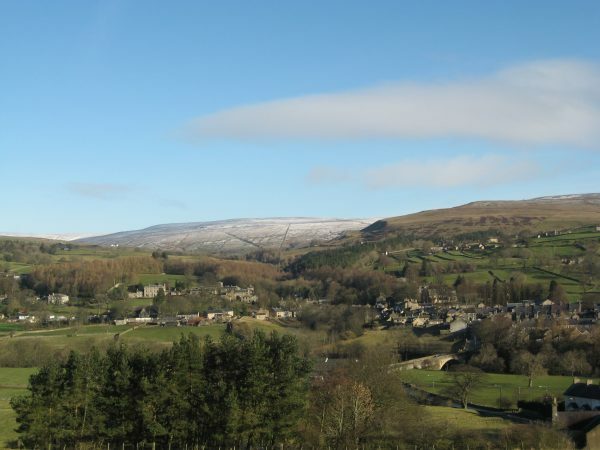 Situated on the northern bank of the River Tees (5 miles south of High Force) in the North Pennines Area of Outstanding Natural Beauty, the small market town of Middleton-in-Teesdale is an ideal base for those who want to escape the crowds. 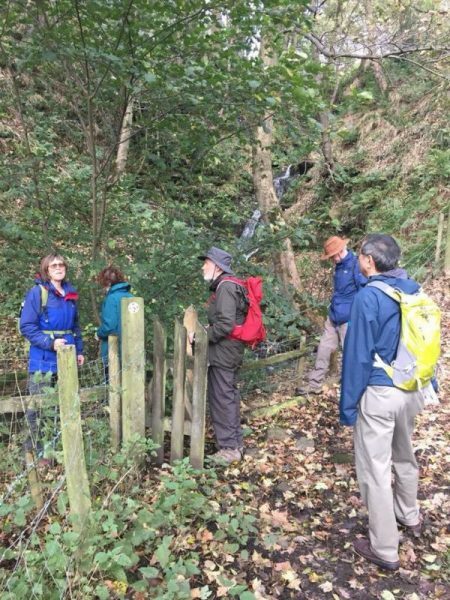 Its mass of footpaths allow walkers to explore not just the beauty of the area (its waterfalls, hay meadows, dales and moorland), but also the remarkable history, geology and botany for which it is internationally famous. 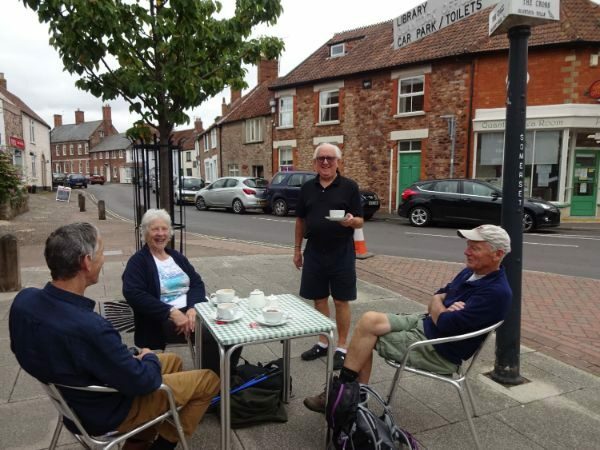 Three long distance trails (the Pennine Way, Pennine Journey and Teesdale Way) pass through the town which provides a rich variety of places for walkers to eat, drink and stay. Much Wenlock is a beautiful medieval town, the birthplace of Dr William Penny Brookes, the inspiration for the modern Olympic Movement. A small town, it is popular with visitors who enjoy the traditional shops, architecture, history and the walks in the beautiful Shropshire countryside, including the magnificent Wenlock Edge escarpment. The name Mytholmroyd means “clearing where rivers meet” and the village is at the confluence of the Elphin Brook, which flows through Cragg Vale, and the River Calder. Mytholmroyd is famous as the birthplace of the late poet laureate, Ted Hughes. His first wife, Sylvia Plath is buried in nearby Heptonstall. New Mills lies on the edge of the Peak District within the High Peak district of Derbyshire. The town is proud of its industrial heritage but is predominantly a rural parish. 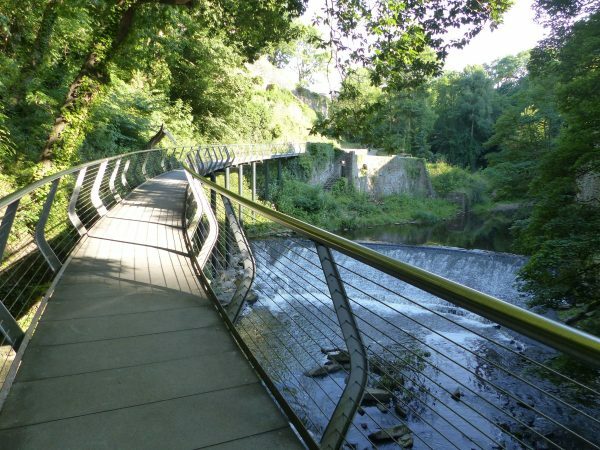 Our pride and joy is "The Torrs", a sandstone gorge at the confluence of the rivers Goyt and Sett, featuring the iconic Millennium Walkway. 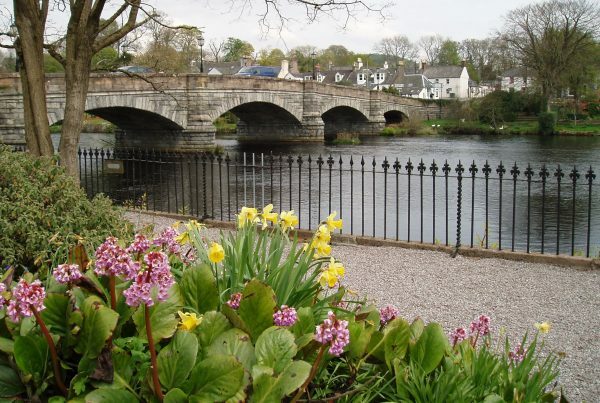 Newton Stewart is a small market town in rural Galloway, south west Scotland. 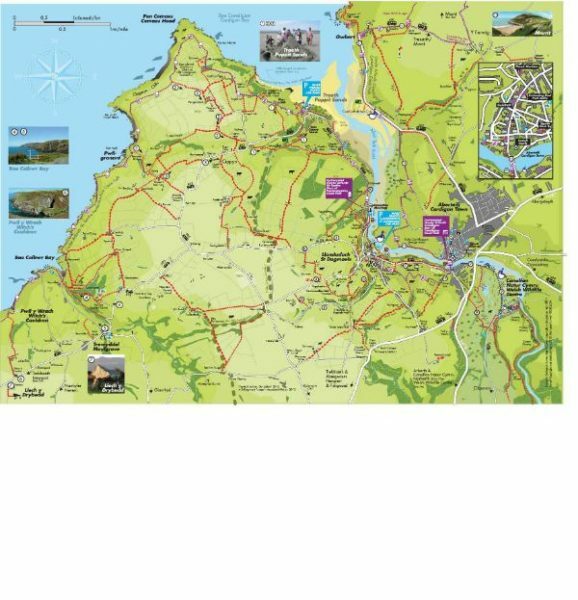 We are the Gateway to the Galloway Hills and have the Galloway Forest Park, the Galloway Dark Skies Park, Galloway and Southern Ayrshire Biosphere Reserve and the Solway coast on our doorstep. 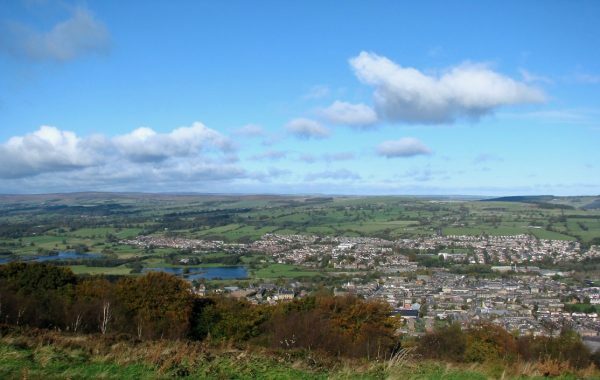 Otley, in the Wharfedale Valley, is a thriving historic market town with a population of fourteen thousand plus. It has a beautiful setting beside the River Wharfe, and below the wooded escarpment known as The Chevin. Otley is surrounded by spectacular countryside with an attractive riverside and many paths and rights of way leading out of Otley. It links to several long distance walks, being the starting point for our the 38-mile 'Six Dales Trail' from Otley to Middleham, and the 'Welcome Way' a 28-mile circular walk. Otley is also a flourishing shopping location with many pubs, cafes and shops, as well as national and retail chains. The town has been a centre for TV and film industry for many years. Prestatyn is well known for its beautiful walks with stunning surroundings and the start or end of the Offa's Dyke Path National Trail. 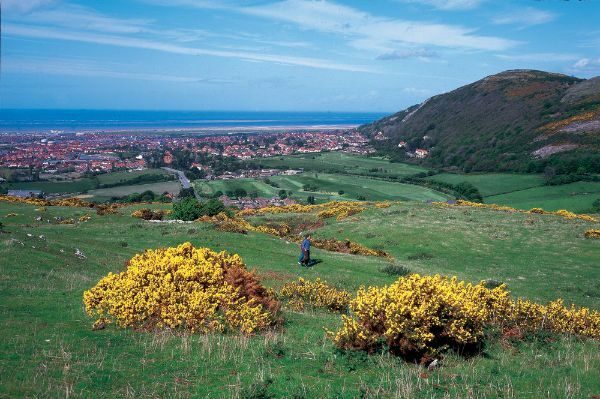 Conveniently situated at the northern end of the Clwydian Range & Dee Valley Area of Outstanding Natural Beauty, Prestatyn provides a wonderful base for walking enthusiasts. Ross-on-Wye, one of five market towns in Herefordshire, was the 29th town to gain WaW accreditation. 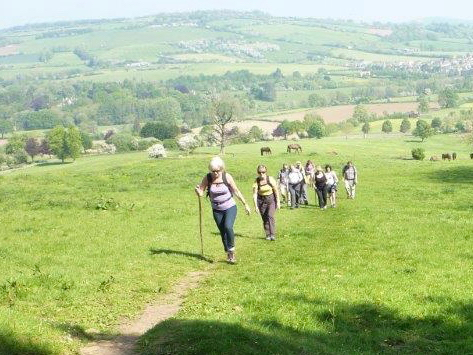 Walking in the Ross area has something for everyone, from flat riverside paths to steep climbs, fields and woodland. Ross is the only town that is entirely inside the Wye Valley Area of Outstanding Natural Beauty. Ross claims to be the birthplace of the modern package tour as in the 18th Century the local Vicar organised package trips by boat to Chepstow. 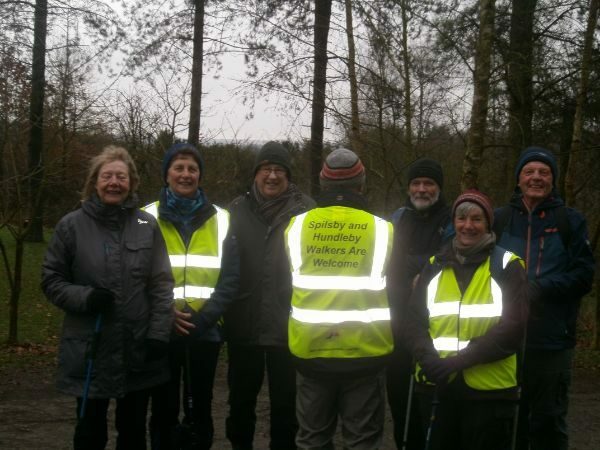 The Ross WaW Group specialises in providing led walks for visiting groups. A village on the southernmost tip of the Shotley Peninsula 9 miles South West of Suffolk's County town of Ipswich. Located directly opposite the Port of Felixstowe across the River Orwell, and the Port of Harwich across the River Stour. SNAITH is a former market town having gained a charter from King Henry III in 1223. It was a very busy and important inland port until the 18th century. King Edward II built a Manor House nearby in the 1320's and parliament sat here. The largest medieval royal deer park in England came right up to the edge of the town. 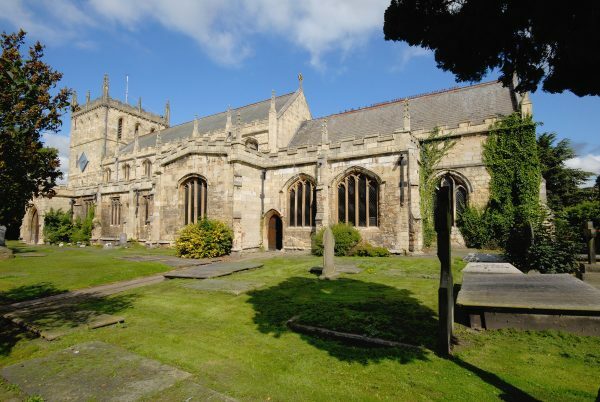 Spilsby and Hundleby are an adjoining town and village on the edge of the Lincolnshire Wolds, with walks available towards the coast, out onto the Fens and into the Wolds. Plenty of places to eat and stay. St Dogmaels at the edge of the Pembrokeshire Coast National Park https://www.pembrokeshirecoast.wales links Pembrokeshire Coast Path https://www.nationaltrail.co.uk/pembrokeshire-coast-path & the Ceredigion Coast Path http://www.ceredigioncoastpath.org.uk . St Dogmaels village centres on the ruins of the 12th century Abbey & visitor centre. Stocksbridge is situated, in the Upper Don Valley, some ten miles north of Sheffield City Centre. It is a small town (population <10,000) which is geographically isolated from neighbouring towns and cities. It is part of the Penistone and Stocksbridge Parliamentary Constituency. 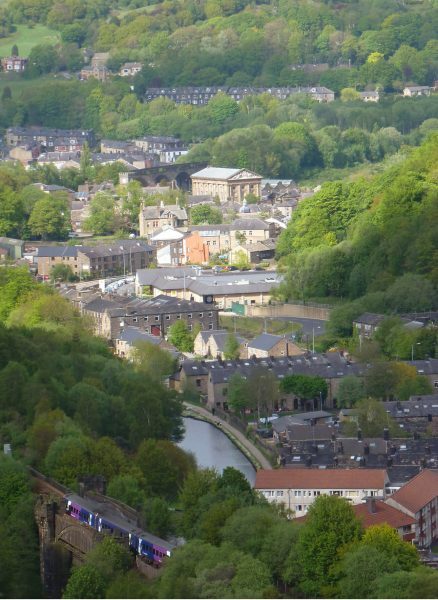 On the edge of the Peak District National Park, the town centre is in a valley surrounded by beautiful countryside. The area offers many easy, safe and pleasant walking options. Both Nether Stowey and Over Stowey lie at the foot of the stunning Quantock Hills in West Somerset. The name Stowey comes from the Old English for ‘paved road’ which is fitting for the villages having welcomed walkers for hundreds of years. Nether Stowey with its shops, B&Bs and pubs is at the start of the Coleridge Way, named after the poet who wrote some of his most famous work there. The smaller settlement of Over Stowey clusters around the church of St Peter and St Paul, the parish however encompasses a substantial area of farmland and open access land on the Quantock Hills. 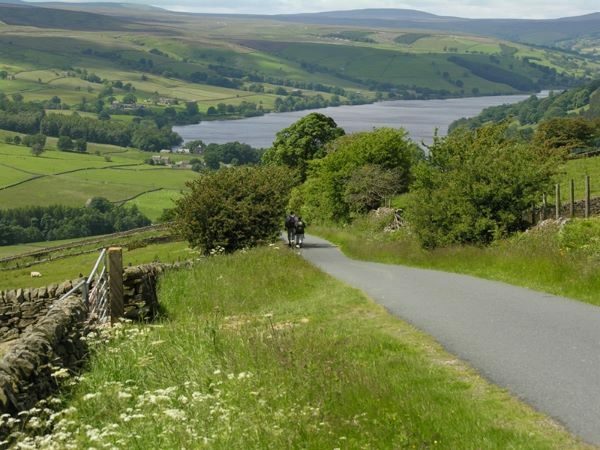 This is a very varied terrain - small towns and villages nestling in the lower wooded valleys; a middle ‘shelf’ of ancient small farms, and the original hamlets; moorland dotted with reservoirs with splendid views across the Pennine hills. We are a welcoming people with a long history of walking. 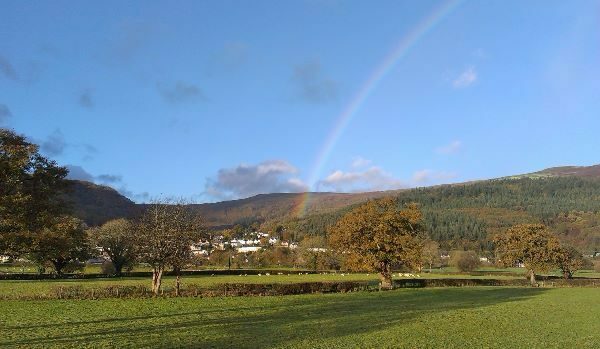 A small village (of some 700 residents) in the beautiful Conwy Valley, nestling in the foothills of the Carneddau mountains. 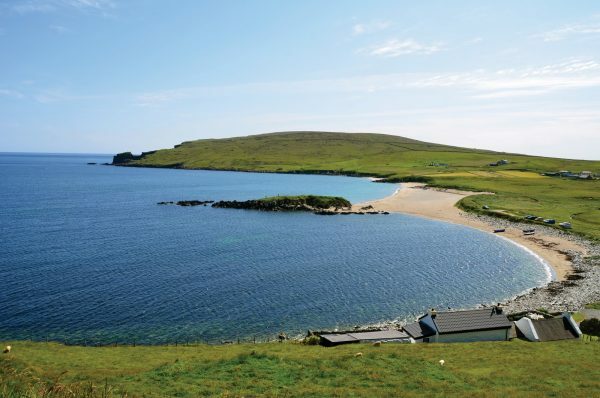 Unst is actually an island, the most northerly inhabited island in Shetland. It is approx. twelve miles long and five miles wide. There are three main settlements: Uyeasound to the south, Baltasound in the centre, which has three shops, and Haroldswick to the north. The population is approx. 600.